Cityview Church is excited to announce that Pastor Brett and Justine Wiltshire from Australian Aboriginal Outreach Ministries (AAOM) will be ministering to us during our Missions Weekend, 17-18th March 2018. 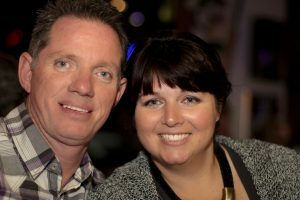 Brett and Justine are the National Directors of AAOM, and they support over 25 churches in Aboriginal communities around Australia. One of the areas they are passionate about is raising up Indigenous and non-Indigenous leaders, to help bring the Gospel to Aboriginal communities. Cityview Church invites everyone to come along and be inspired by Brett and Justine. Our Missions Weekend starts on Saturday 17th March from 9.00 am to 11.30 am (with a delicious morning tea) and then continues on Sunday 18th March from 10 am.